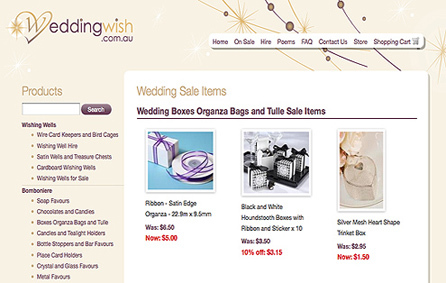 At weddingwish.com.au we have been making wedding dreams come true for over a decade. With over 4000 wedding products, we have everything you need to make your wedding unique and memorable. 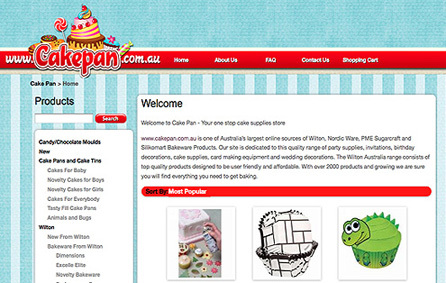 www.cakepan.com.au is one of Australia’s largest online sources of Wilton, Nordic Ware, PME Sugarcraft and Silikomart Bakeware Products. Our site is dedicated to this quality range of party supplies, invitations, birthday decorations, cake supplies, card making equipment and wedding decorations. 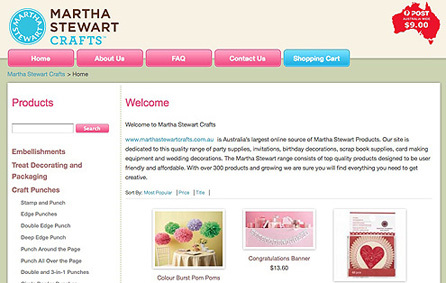 www.marthastewartcrafts.com.au is Australia’s largest online source of Martha Stewart Products. Our site is dedicated to this quality range of party supplies, invitations, birthday decorations, scrap book supplies, card making equipment and wedding decorations. The Martha Stewart range consists of top quality products designed to be user friendly and affordable. 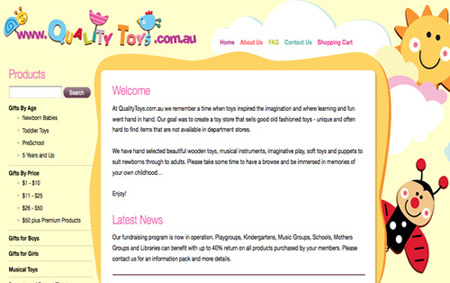 At QualityToys.com.au we remember a time when toys inspired the imagination and where learning and fun went hand in hand. Our goal was to create a toy store that sells good old fashioned toys and collectables – unique and often hard to find items that are not available in department stores. 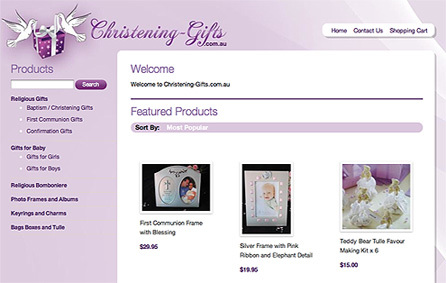 At Christening-Gifts.com.au we offer a carefully selected range of quality keepsakes and baby gifts to commemorate this special day. Additional Religious items are also available including gifts and bomboniere for First Communions and Confirmations. With everything you need to make your Wedding dreams come true. Australia’s largest online source of Wilton cake decorating products. Beautiful Christening and baby keepsakes to treasure. A range of quality toys and collectables that inspire the imagination. Australia’s largest online source of Martha Stewart Products.